We know that ATP readers are tough graders. In the past you have graded the performance of Pakistan’s current leadership (also here) as well as Pakistan’s past leadershipÂ – for good as well as for bad (also here). We ask you now to grade the performance of Pakistan’s media. 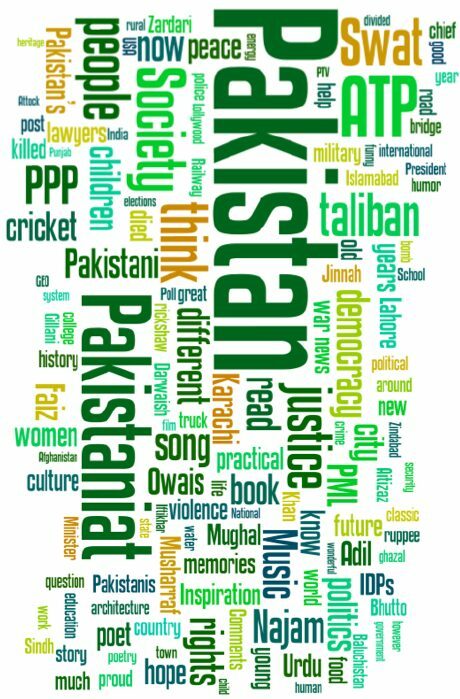 Most people agree that the news media has played a very influential role in shaping Pakistan’s current politics – some might say, for the good; others might argue, for the bad? What do you say? Our focus here is on the news media. We are purposely not asking you which particular TV channel or newspaper or radio station you like. That is a matter of preference, and often of political persuation. It is important, but is not the intent of this ATP Poll. We also understand that you probably think that some media outfits are doing a great job and that others are not. That, too, is not the question. What we seek is your opinion of how the media – as a whole and in its entirety – is doing? Of course, some will be better than others; and others worse than some. But when you look at all the media – in all its mediums – together, how do you rate them? Good, bad, or ugly? Democracy: Nawaz is running PMLN for last 20+ years, no where in world we have a leader of a democratic party for that long (only dictators, but that is a separate discussion), does he still need to get matured? Media: It is shame that media shows dead bodies on the tv everyday, it has nothing to do with being not mature, it is about discipline and code of conduct. Judiciary: Judiciary is being run by crooks, CJ.Iftikhar is not a child, he is a mature person yet no where in the world we get an example of victims being judges in their own case. The judiciary, democracy and media in Pakistan is staffed by adults, who consider themselves “professionals”. Many have gray beards and are not 16-year olds that we have to accept excuses for them that “bachay hain”. It also sounds like a variation of the “virsa siyasat” that political parties have been playing since February 2008. For the longest time Pakistan had heavily censored print and electronic media. For a few years now we have both media relatively free. But it seems our expectations of it are bordering on childishness. I am reminded of the story I had heard of a lone child who incessantly complained to his parents about not having a sibling to play with. His father said to him,”son, you are now almost six. You won’t be able to play with a newborn baby”. “No!”, protested the wide-eyed child,”he has to be born five years old”. improve it. Let us be grateful that, now, there is a possibility that it might. The same is true of the institutions of democracy and judiciary in Pakistan. GEO is Back in Pakistan: Writing on the Wall? Visit Pakistan Year 2007: What Can We Do?